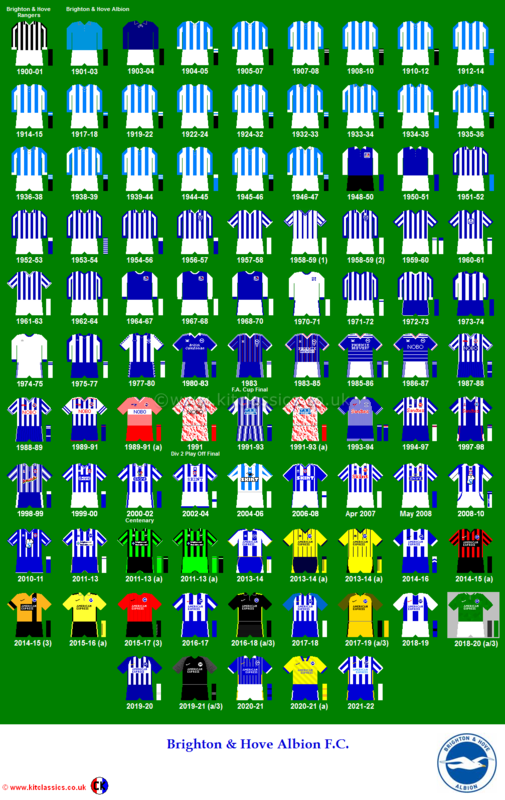 Fifth in Division Two in mid-October 1985, promotion hopefuls Brighton endured a miserable spell in the four weeks that followed. After crashing 5-3 at the Goldstone to Charlton Athletic, Chris Cattlin’s injury-hit side were hammered 4-0 at Oldham and then by the same score at Liverpool in the Milk Cup. Suddenly, the season was falling apart. Although hard-won point at the Goldstone against a spritely Norwich kept the Seagulls in eighth position, a sign of poor form was confirmed when second-from-bottom Shrewsbury defeated Brighton 2-1 at Gay Meadow. According to Cattlin, they [Albion] would not have been flattered if nine had been converted. That’s an understandable exaggeration made after the tumult of a seven-goal thriller, two sendings-off and five bookings, but he has a point. When Albion had the ball they pushed up constantly, and got more numbers in the opposing box than ever before this term. It was a different story when Huddersfield gained possession, then Albion gave it away rather too easily. The result was sometimes pandemonium, especially in the closing minutes as Huddersfield strove for a point. It must have been exciting for the crowd, but managers do not like being put in fear of a cardiac arrest. Not until the final whistle could you bank on the result, and from Albion’s point of view it was a good one. Dale Tempest had got the Terriers’ goal in Albion’s 2-1 victory the previous season at Leeds Road. 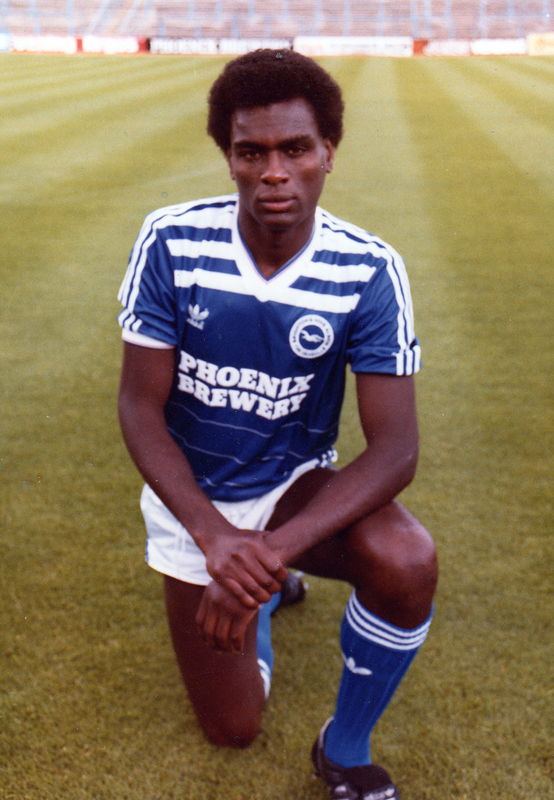 Within three minutes of the kick-off, he was on the scoresheet again, latching onto a long ball to steal between Eric Young and Steve Jacobs. With keeper Moseley coming out, the former Fulham striker finished to put the Yorkshire side ahead. However, the Seagulls stormed back. The maligned Mick Ferguson smashed in Terry Connor’s cross on 20 minutes, before Dean Saunders was fouled in the box by Hudderfield’s Malcolm Brown fourteen minutes later. 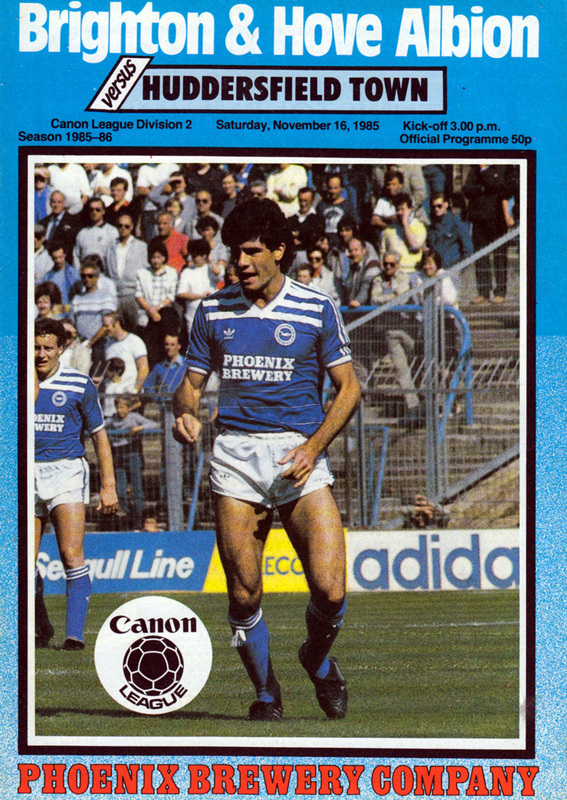 Alan Biley confidently stuck home the penalty and so it was Brighton who held the lead at half-time. When the second-half kicked-off, once more it was the Terriers who were quickest out of the block and striker David Cowling watched his 52nd minute shot take a deflection off Chris Hutchings to give Graham Moseley an unwanted 32nd birthday present. It was his first of the season, and must have felt as sweet as a nut coming off that black headband. The popular accolade was indeed music to the ears of a man whom Cattlin says – indeed we are all of one accord – is going through a bad patch. Nobody likes to see a player struggle, and it is a tribute to the sporting nature of the Goldstone crowd that they have not honed their barbs towards Young. Then the match took another interesting turn when the Seagulls’ Mick Ferguson and the Terriers’ Paul Jones were both sent off for a minor dust-up on 67 minutes. 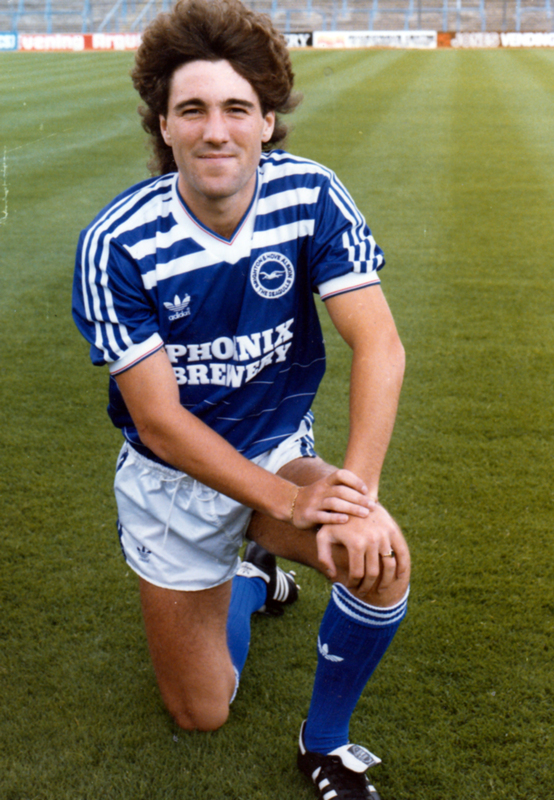 With Brighton 3-2 up, star striker Dean Saunders seemed to seal the three points for the Albion on 73 minutes. He capitalised after the otherwise outstanding keeper Brian Cox found Dennis Mortimer’s shot too hot to handle. 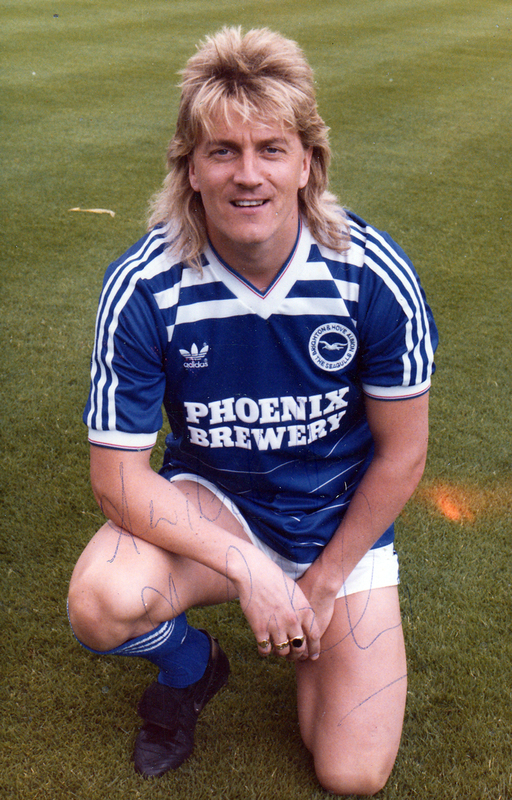 However, four minutes later, the game was thrown wide open again, as Huddersfield’s David Cowling got his second deflected goal of the day, as his free-kick clipped off the Brighton defensive wall past a stranded Graham Moseley. 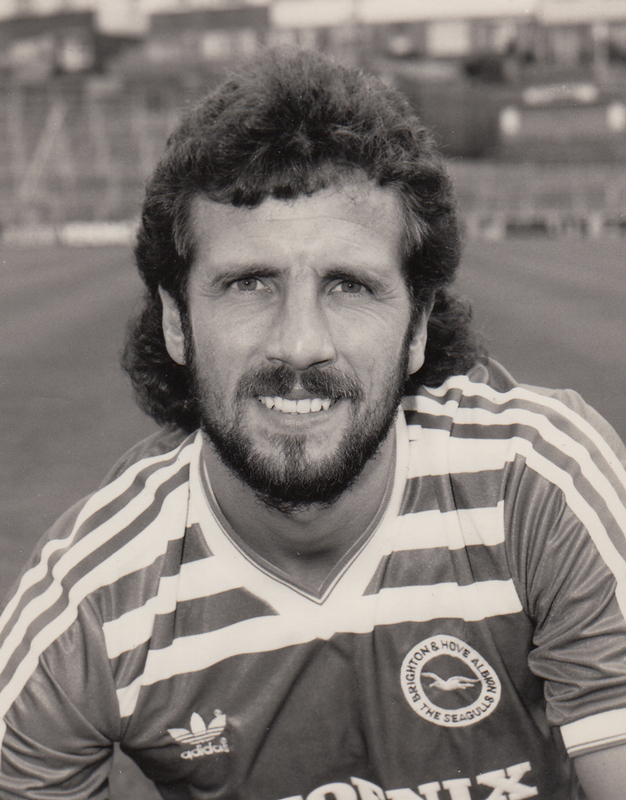 After the match, Chris Cattlin wanted Saunders back on afternoons after training for some shooting practice, as he felt the Welsh striker should have got four in this heart-stopping match. Perhaps, he should have looked at the defence as a matter of urgency first!